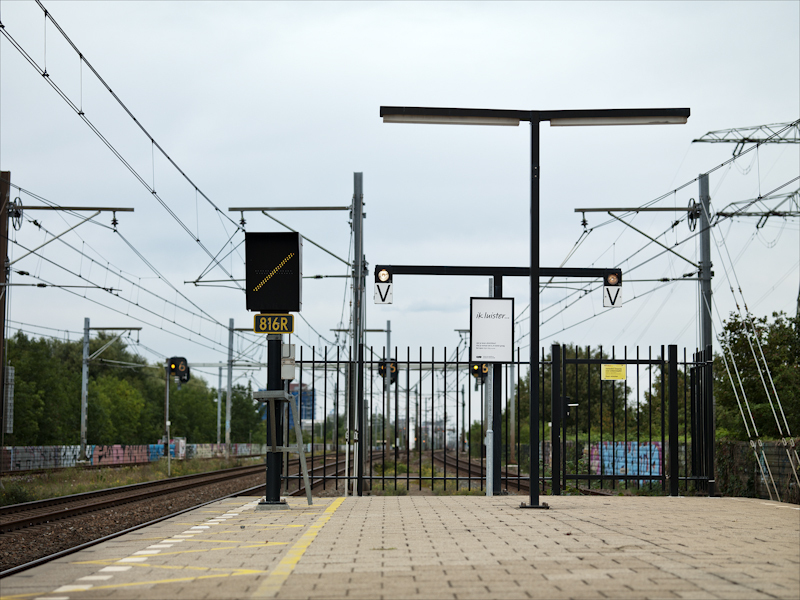 This measure consists of the installation of a fence at the end of platform in order to prevent people from easily entering open track from this potential access point. Should be considered for any specific locations where trespass is a major factor. 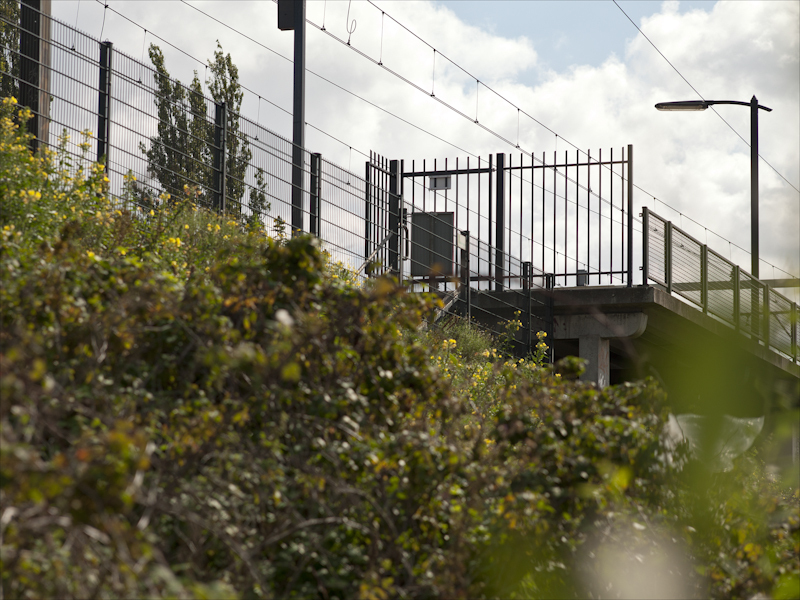 The datum points for the fence should be the safe clearance distance from the platform edge at the head and the foot of the ramp. The fence should run between the foot and head datum points along the ramp, also between the datum points at the head of the ramp (inclusive of a gate), for island platforms. Alternatively, at the head of the ramp, the fence could terminate at a side boundary wall or fence. 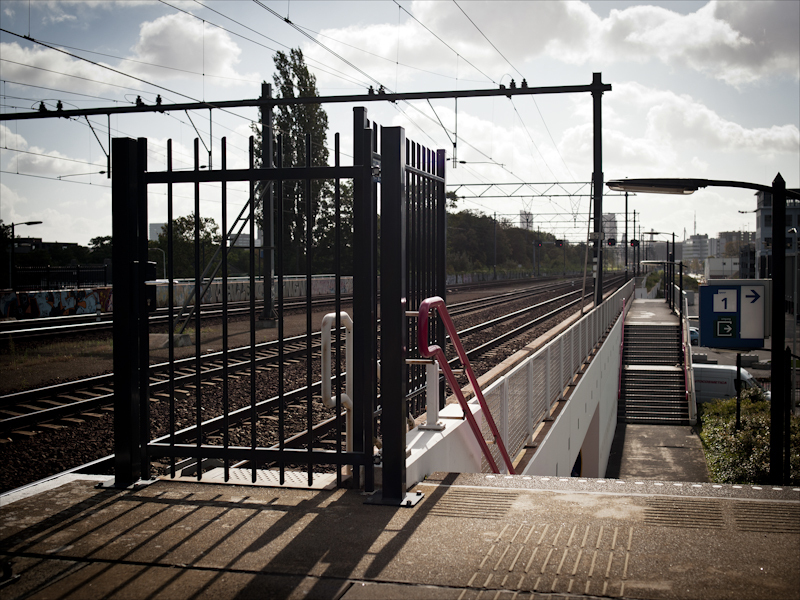 The installed fence must not restrict access via the safe clearance distance from the platform edge. 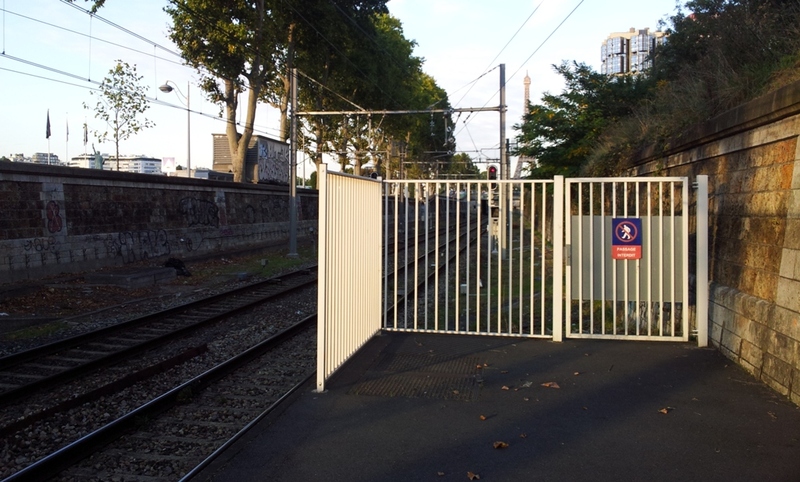 For practical grounds there needs to be a gate in the fence to provide access to the tracks in case this is needed. The systems for securing gates and their use need to be considered. 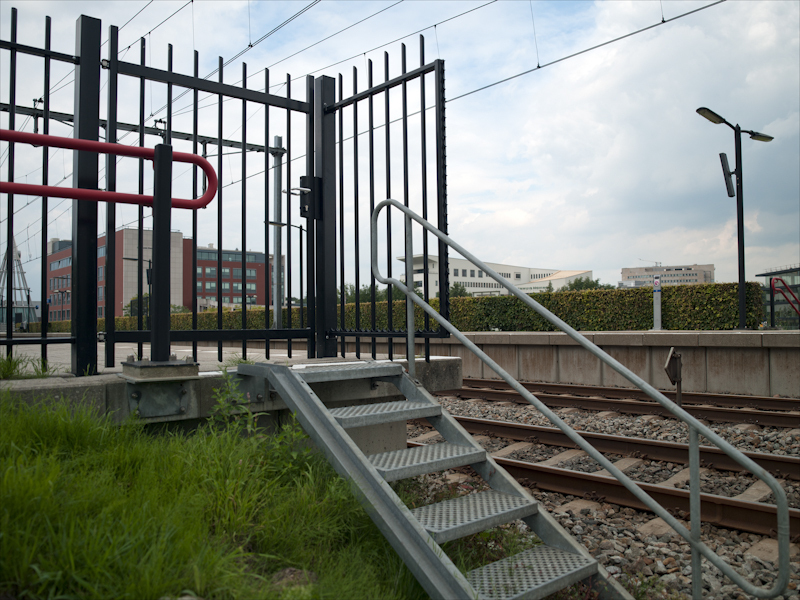 Gates operable with a standard industry carriage key can be, and generally are, provided, to allow access for rail operations and maintenance staff. They are also needed as an escape route in case of emergency. Try to fit the fencing to the trespassing pattern and environment. Try to reinforce the desired behaviour by providing an attractive corridor alternative for biking, hiking, jogging, and walking (such as using an overbridge). Building of fences would also require the building of under- or overpasses to enable safe access from one side of the track to the other. This also applies the other way around. Fencing will likely be considered in conjunction with one or two other measures: surveillance, cameras or operational planning (e.g. fast trains running close to platforms with easy access). The effect is stable assuming that control and maintenance is done. However, trespassers might change location over time and fencing could result in more dangerous routes for trespassers. Therefore, maintain the integrity of the fences and repair defects without delay. At the same time keep monitoring a much wider perimeter than the fenced area in order to spot possible new trespassing locations. The type of fencing needs to be considered - strand, chainlink, paling, security - height, etc. The measure can be applied in different scale and different kinds of environments. Fencing can also be combined with warning or prohibitive signs. The signs can be posted on the fence itself. Barriers placed from the platform ends along the first third or half of a platform could be a useful method by which to reduce successful suicide attempts (Holdaway et al., 2012). Fencing at platform ends was tested by TCDD at Aydin station in combination with other measures as part of RESTRAIL pilot tests conducted in 2014.